SCADA Systems - What is an SCADA system? SCADA system is a supervisory control and data acquisition software. Its purpose is to control automation in industry. Equipment like PLC communicating with a computer with SCADA software. Work as HMI (Human Machine Interface) in a computer. The SCADA system begins with a supervisory concept. Management of industry data is important to the administration. 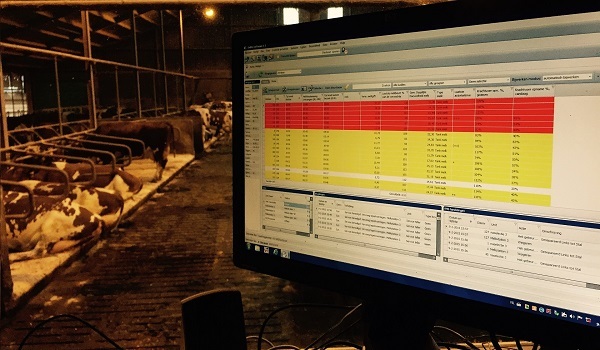 Collecting data from equipment and organizing in reports improves company management. PLC is a Programmable Logic Controller. It is a hardware that can be used to control process in factory plan. Its information can be passed to the PLC SCADA systems in a computer. The SCADA can monitor, control, record and generate reports from this information. In supervisory, the SCADA system organizes that information from the factory through communication with PLC and equipment. The information goes from users in a factory to general management. The SCADA systems can monitor through HMI panels in screen and reports with data from the recorded database. The data can be stored in databases and distributed as needed. SCADA panels can be replicated in the network via LAN / WEB. Several users are able to monitor the SCADA system. The screen can be customized according to each case. HMI objects are distributed in monitor creating panels and plant schemes. Animated objects pictures with graphic information are used to improve SCADA monitoring. These objects can be displays, bar graphs, gauges, valves, pumps, buttons, charts, etc.